Before cooking millet rinse several times on a fine sieve with cold water. Grits thrown into boiling water according to a ratio of 1 cup of porridge: 2.5 cups of water. Mix again for boiling water. Boil for 15-20 minutes over low heat to prevent the grains from sticking to the pot. If you cook millet groats in a mixture of water and milk, add milk after 15 minutes of cooking water (keep proportions: 2-2.5 cups of liquid to 1 cup of porridge). When cooking porridge do not mix! Water lightly with salt (half a level teaspoon of salt should be enough) and add oil (1 tablespoon per 100 g porridge). Simmer, covered, with a slightly ajar lid. Groat will be ready when the grains have absorbed all the water. After cooking, we withdraw any excess water and add butter. Let stand for 30 minutes. 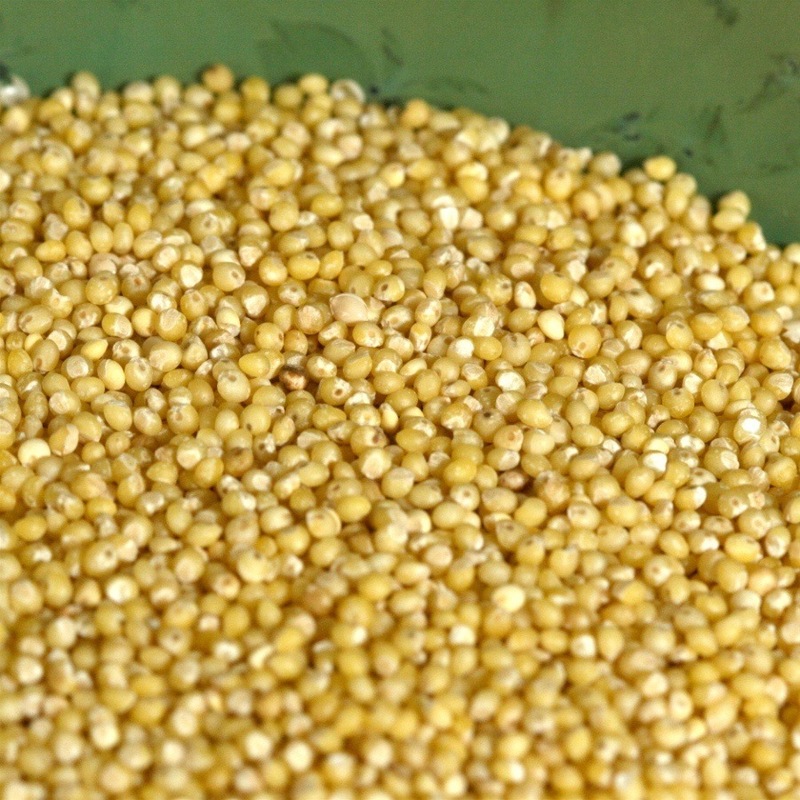 Millet can be served with stewed vegetables in casseroles or sweet, for example. Of apples or raisins, cooked with milk or baked with fruit, yogurt and honey. It is also ideal as an addition to soups and salads.